I have serveral questions TOP! Can my rater or senior rater place a derogatory comment on my NCOER without me ever having received a counseling statement? Can They falsify my counseling dates and then remove them and my senior rater write in section Ve that the form was not used but that I was verbally counseled? What exactly can I do and where does it state that the dates for the counselings placed on my NCOER must be in writing? Any negative comment should be addressed in writing and documented on a DA FORM 4856 and/or the DA FORM 2166-9-1. They cannot falsify the counseling dates. 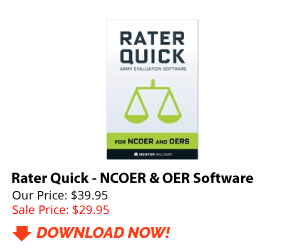 Your senior rater was right to remove the dates and insert a comment into the senior rater portion of the NCOER. If his comment is not factual that is another issue. 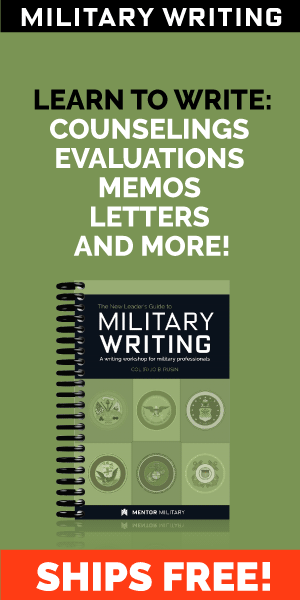 If you have a copy of the NCOER with the false counseling dates and the Senior rater does not have any documentation for the negative counseling you can use this in your appeals process or commander’s inquiry. AR 623-3 and DA PAM 623-3 cover the requirements to document the counseling sessions. Is it appropriate for a SSG(P) to be pla...Is it appropriate for a SSG(P) to be placed on the SSG duty roster…shouldn’t they be placed on the SFC duty roster? My award was improperly downgraded; What...My award was improperly downgraded; What can I do?